‘ENCHANTE’ is a set of feminine watercolor paint brush strokes, splash, borders and backgrounds clipart set. 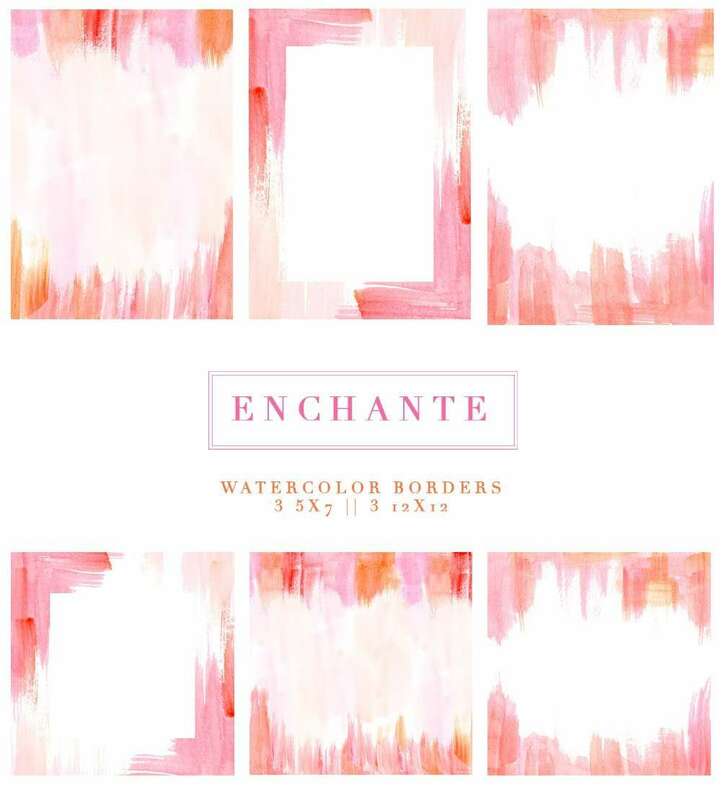 These painted backgrounds will work well as borders, backgrounds and embellishments in a variety of projects. 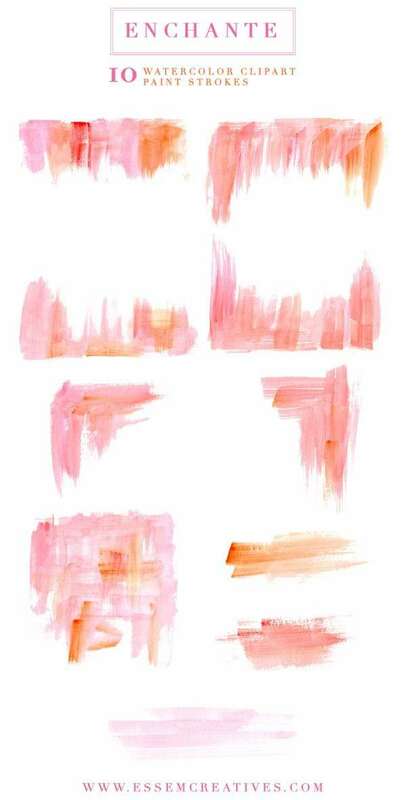 These painterly strokes come in a range of coordinated modern and feminine colors such as pink, coral, orange. 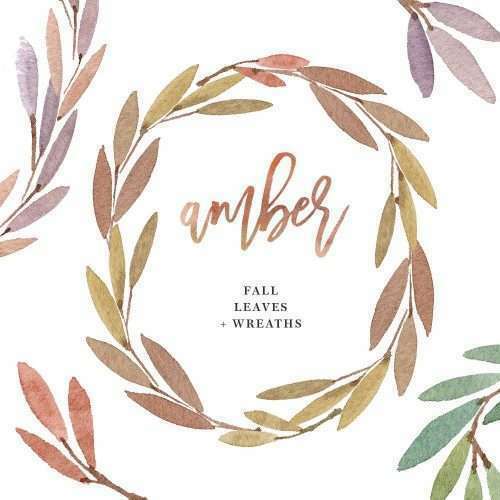 Use them in your next design project whether it’s an invitation card, a logo, packaging, art print, wall decor, logo & branding or for promotional materials. 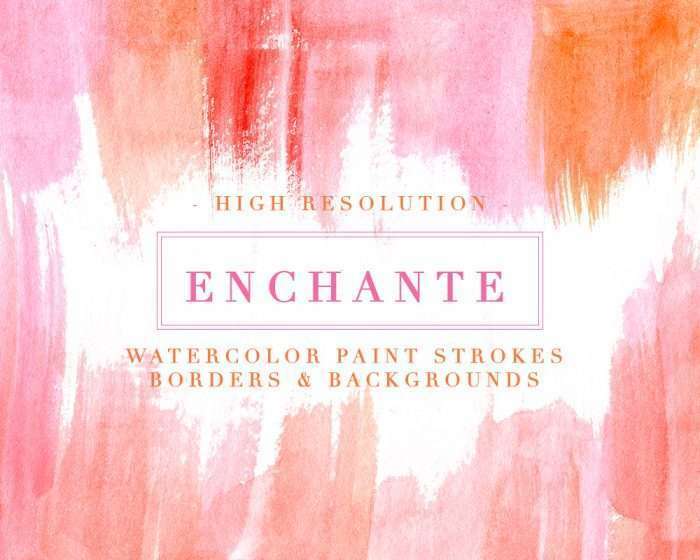 ‘ENCHANTE’ is a set of feminine watercolor paint strokes splash clipart set. 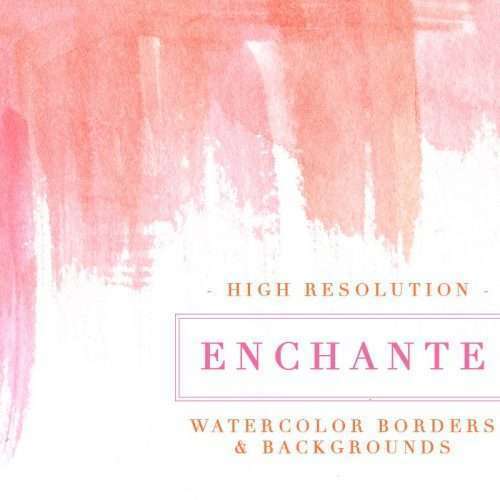 These painted backgrounds will work well as borders, backgrounds and embellishments in a variety of projects. 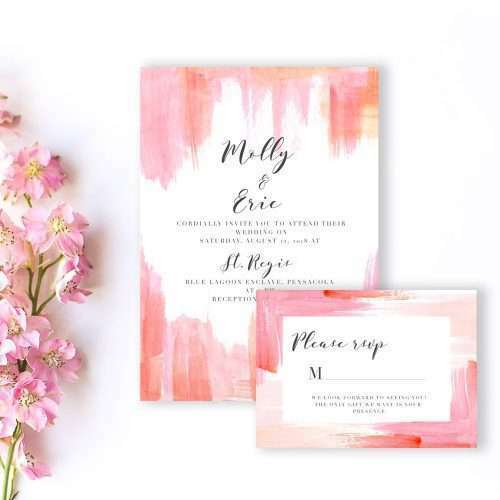 These paint brush strokes and splashes come in a range of coordinated modern and feminine colors such as pink, coral, orange. 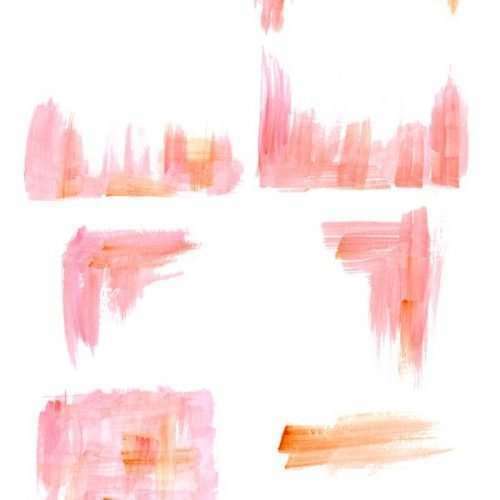 They’ve been painted in a modern way to create the dry brush stroke effect. 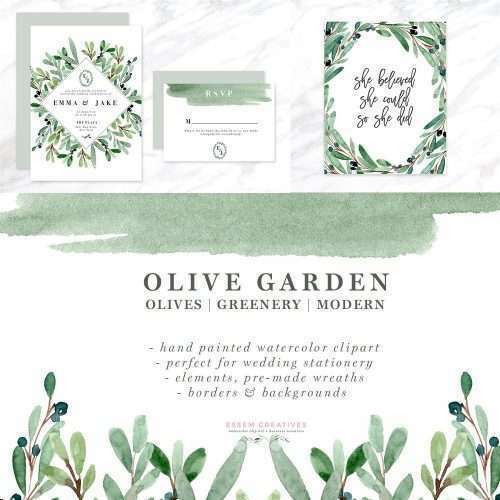 Use them in your next design project whether it’s an invitation card, printable wall art, a logo, packaging, art print, wall decor, logo & branding or for promotional materials. 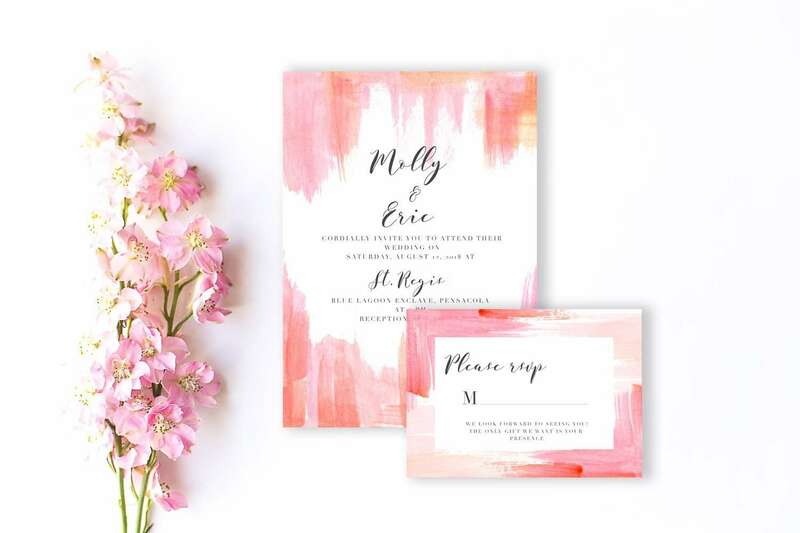 This watercolor splashes & splotches set also features digital papers and borders for quick and easy use in your design project. 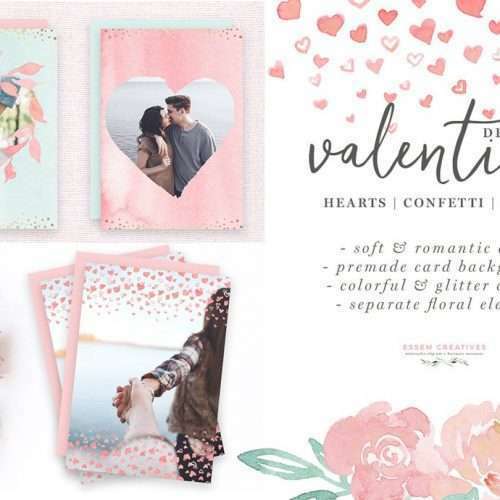 With the PNG borders, you can even change the color of the background. 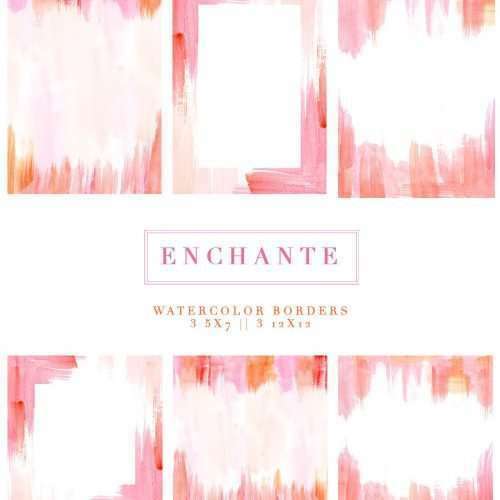 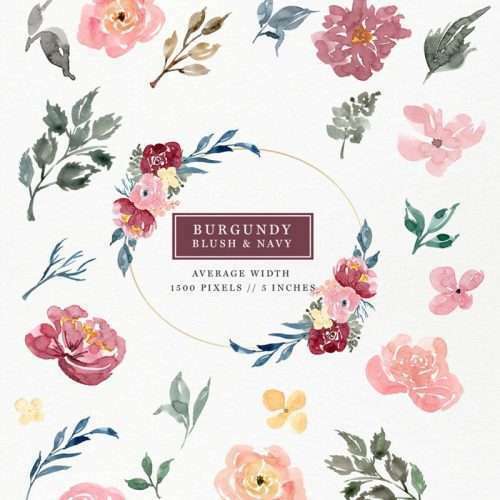 The watercolor digital papers and borders come in a set of handy sizes – 5×7 inches and 12×12 inches. 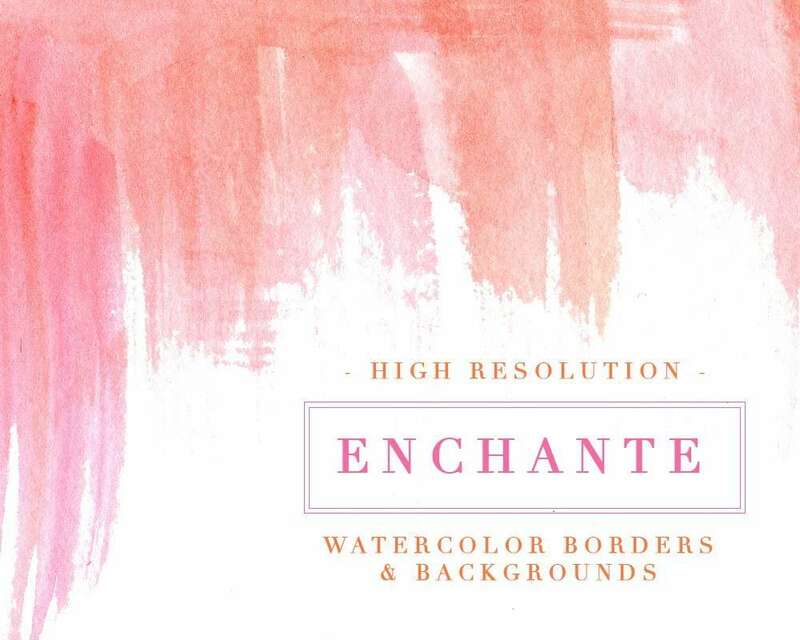 Use these watercolor backgrounds for quick projects. 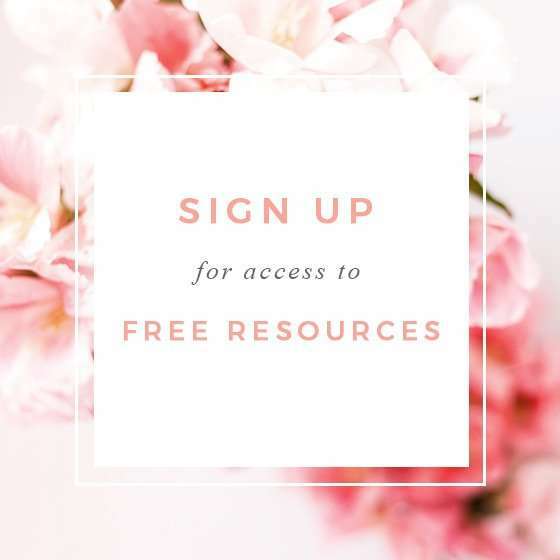 Simply choose a digital paper, add your text and voila!